Here's some further information about the next two tracks from my latest holiday mix, titled Is There Really a Santa Claus? Pearl Bailey made a name for herself in the 1950s and '60s as a singer, stage and film actress and television personality. In the 1970s and '80s she added the roles of author and political activist to her resume, writing six books, campaigning for Republican political candidates (see video clip, below) and serving as a Special Ambassador to the United Nations (appointed by President Ford) and worldwide Ambassador of Love (appointed by that old love machine himself, President Richard Nixon). She is perhaps best known for playing Maria in the movie version of Porgy and Bess and the title role in the all-black Broadway production of Hello Dolly! Before her acting career really took off, Bailey made a name for herself as a popular nightclub performer whose material occasionally veered from the straight and narrow into the risque. Her album releases were sometimes overshadowed by her acting, but Bailey was a prolific recording artist who made over 30 albums in styles ranging from the soundtracks to her stage and movie shows to blues, standards and even some "mature audience" material. Bailey's discography features at least two holiday tunes: "Jingle Bells Cha Cha Cha" and "Five Pound Box of Money," the latter of which appears as Track 14 on my 2014 mix. These two tracks were released on a single two-sided 45 RPM disc in the late 1950s on the Roulette label, and have subsequently been included in a number of different compilation albums, including the 1999 release Hipsters' Holiday. I love "Five Pound Box of Money," which really captures Bailey's vivacious personality, at least what I remember of it from her many TV appearances while I was growing up. Not only does she handle the vocals on this song, but she is one of the two credited composers as well. There is, however, a bit of uncertainty about exactly when these two songs were released. The label on the single itself includes a copyright date of 1958, which is the same release date that appears in the liner notes on the Hipsters' Holiday compilation. Based on that information, the CD version of Is There Really a Santa Claus? lists the release date for "Five Pound Box of Money" as 1958. But a later Roulette Records compilation lists the release date as 1959, as does the the Global Dog Productions Roulette 45 discography and the Goldmine Christmas Record Price Guide. Moreover, the November 23, 1959 issue of Billboard magazine lists the song among its new pop music releases for the week. On the whole, I guess I'd have to agree with Randy Anthony of the wonderful Hip Christmas blog, who weighed the competing evidence and concluded that the actual release date was probably 1959. The track list that appears in my latest CD package lists the release date as 1958, but I've updated the stand-alone track list to reflect the later year. 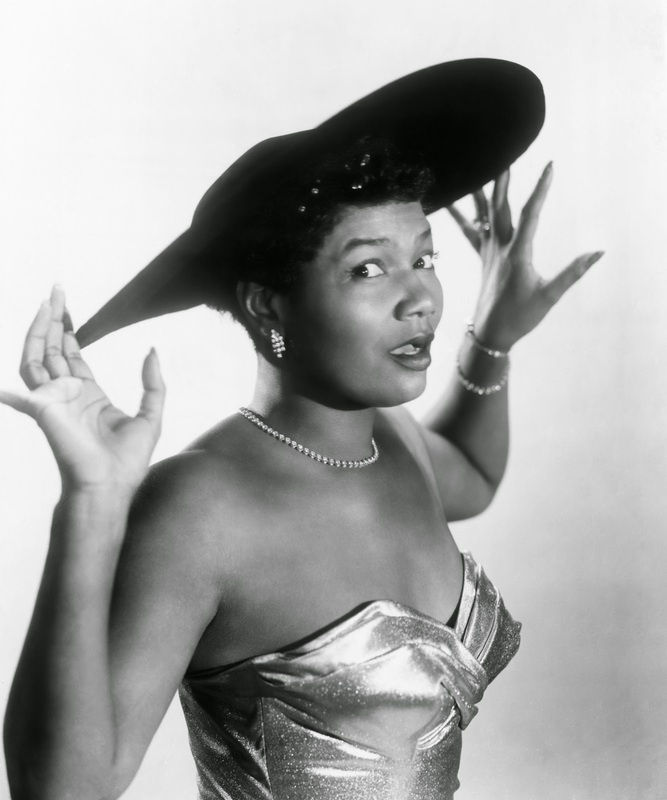 Before we close the book on Pearl Bailey, I'd be remiss if I didn't mention several of her other achievements. For one thing, she had her own TV variety show on ABC, The Pearl Bailey Show. She won a Tony Award for her work in Hello, Dolly! in 1968 and a Daytime Emmy award for her performance as a fairy godmother in the 1986 ABC Afterschool Special, CindyEller: A Modern Fairy Tale. In 1988, Bailey was awarded the Presidential Medal of Freedom by President Reagan. Finally, in what is perhaps her greatest accomplishment, Bailey earned her bachelor's degree from Georgetown University with a major in theology at the age of 67. She may have been a Republican, but she was one very cool lady all the same. It's a cold, snowy day in December and you're sitting with some friends by the fireplace when one of them asks you which American entertainers you think are most closely associated with the Christmas season. That's a highly subjective question, of course, and there's no way of knowing the correct answer. But I'd argue that any list that didn't include Bing Crosby would have to be considered wrong. Crosby, of course, is responsible for the definitive version of "White Christmas" — the bestselling record of all time — and that fact alone is enough to secure Bing's spot on the list. 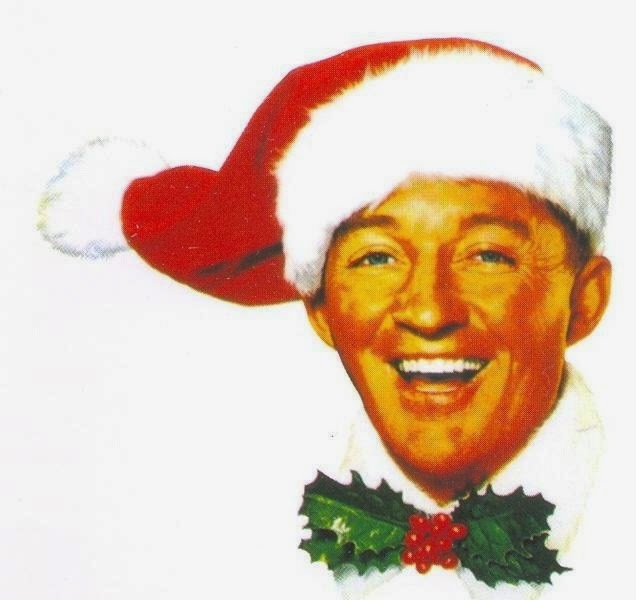 Crosby is also remembered for his annual Christmas specials on radio and TV, and for his many other holiday-themed songs and records. But "White Christmas" is what people remember most, and probably always will. 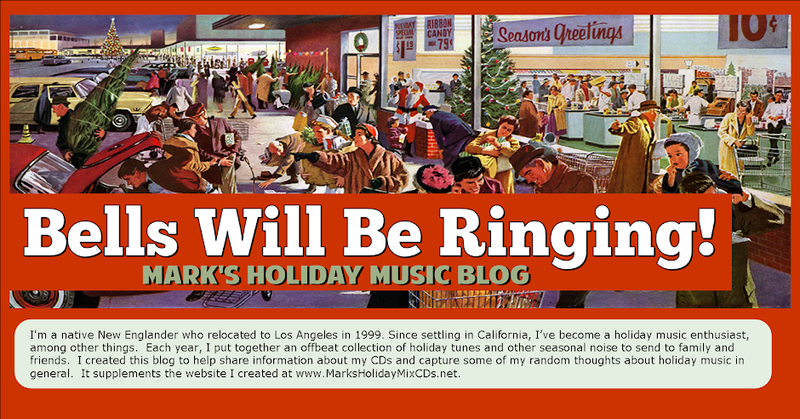 Having now put together more than a dozen holiday mixes with nearly 450 different tracks among them, I figured it was high time this year see to it that Bing Crosby is represented in my collection, so I saved a spot for him on my latest mix. I chose this particular number largely because it's played less often than many of Crosby's other holiday tunes. I also chose it because it's one of the hokiest tunes I've ever heard. That distinction, of course, appeals to me. Jane and Jonah, you too. Then fetch Jamie and Sue. Got a reason to smile. We'll all say grace, and then break bread. While Judd pours cider from the tap. Oh, don't that turkey look divine? Well, promenade it down the line. So Alby, hand the platter to your right. And double-sashay the marshmallow yams. And swing to the right, a huckleberry muffin. And do-si-do the cranberry sauce. And you with the rhubarb, swing to the wall. And promenade the pretty black-eyed peas. So much turkey, you’re about to explode. Choose your pie, either pumpkin or mince. So honor the lady who cooked the feast. Seeing how much you ate." Come on father, let's dance! I ain’t taking a chance. Mother, mother, everybody loved your Christmas dinner, country style. Listen to Bing Crosby's "Christmas Dinner, Country Style"
Back in a day or two with notes about the next few tracks from this year's mix!